How to create Attributes in Magento? Attributes are used in Magento to indicate the any property of product. It define the characteristics of the product. Product Title, Product Description, Size, etc. are the attributes. The Title, Label identifies the attributes in the Admin and Storefront. 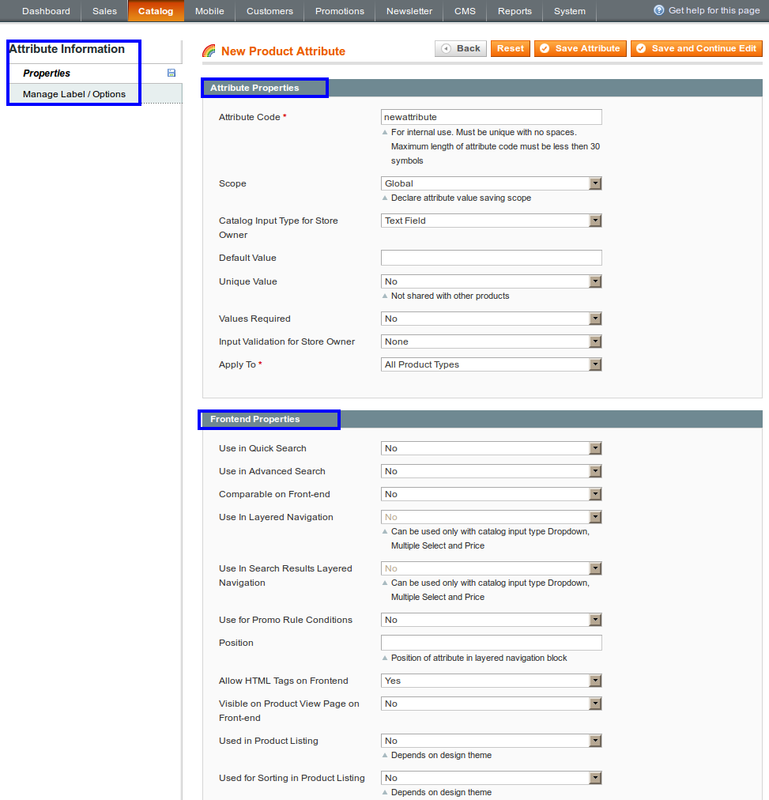 Magento has a Simple process for Creation of Attributes. Used in quick search: If set yes data will be search able at front-end in quick search or in Advanced search. Comparable on front-end: If set yes, attributes will show in the product comparison. Layered Navigation: If set Yes, this data will be used in filter navigation. Position: It determines the position of attributes in Layered navigation menu. Visible on Product View Page on Front-end: If set No attributes will not visible in front-end. Unique Value: Set Yes, to prevent duplicate values in data entry field. Apply To: Select from drop-down, determines to which product do you want to this attribute will display. Based On: Select from drop-down, existing Attribute Set. 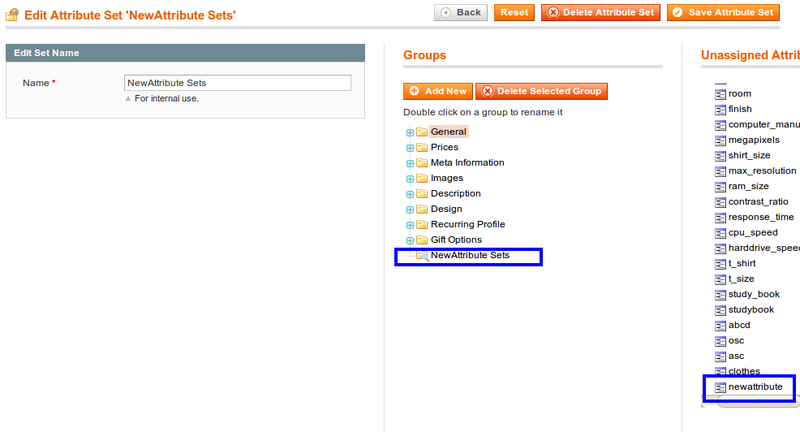 Let you modify the Attribute Set as new. 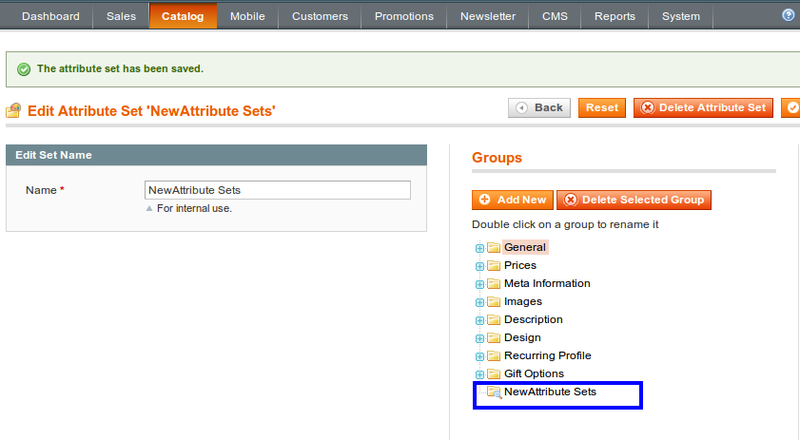 then Click on ContinueWhen you selected, Attribute Sets from Product Information, it displayed the containing attributes.